[tps_footer]Emraan Hashmi is known to us by many names, he is known as the serial kisser, he is called the most under-rated star in our industry, and some call him the most honest star, well today we got to see a very different side of Emraan as a father. 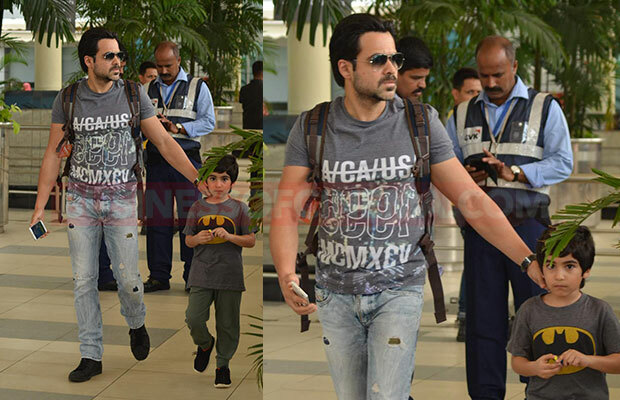 Our shutterbugs caught hold of Emraan at the airport hand in hand protecting his 5 year old son Ayan. This was the first time that the media has got any glimpse of the star’s son Ayan. Emraan had tried his best to keep his son, his wife and other personal matters related to his family under wraps. He is known to be a quiet and mysterious star when it comes to his personal life. Ayan came into news last year in January during the making of ‘Mr. X’ when media got reports that he was diagnosed with a stage one cancer. The news had broken Emraan in every possible way, as a father there could be no bigger pain than this. The Media as well as the film industry stood by him in the difficult times and as reports suggest his son’s disease is now cured. Also Read: Emraan Hashmi To Visit Azharuddin’s Old Haunts! 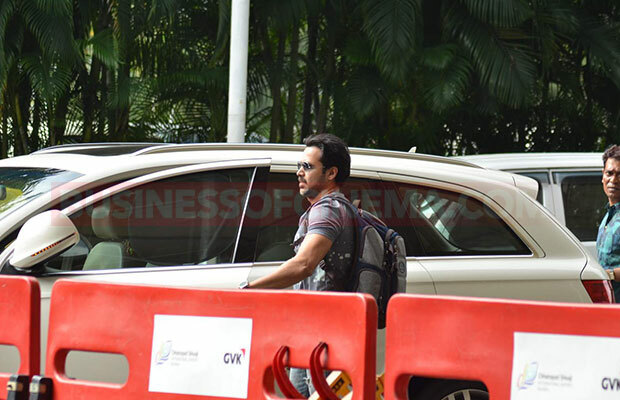 Emraan looked his usual casual self wearing a grey printed tee with jeans. The star of the photo was none other than Ayan who glowed in his natural innocence and looked ultra cute and adorable in the grey Batman tee and jeans. Ayan was seen clutching his father’s arms tightly as they walked hand in hand towards the airport.